Due to their ability to support reliable high quality of service as well as spectral and power efficiency, multicarrier modulation systems have found increasing use in modern communications services. However, one of the main drawbacks of these systems is their vulnerability to nonlinear distortion effects. Analytical Evaluation of Nonlinear Distortion Effects on Multicarrier Signals details a unified approach to well-known analytical results on memoryless nonlinearities that takes advantage of the Gaussian behavior of multicarrier signals. 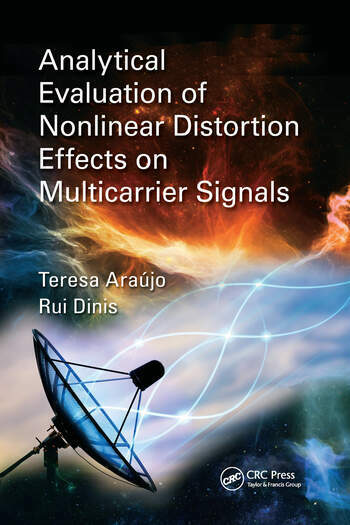 Sharing new insights into the behavior of nonlinearly distorted multicarrier signals, the book begins with a review of the fundamental principles of multicarrier transmission and multicarrier-based systems. Next, it covers well-known results on nonlinear distortion of Gaussian signals and examines the accuracy of the use of Gaussian approximation for evaluating nonlinear effects. It also considers the performance of various multicarrier-based systems in the presence of different types of nonlinear devices. The book covers the essential principles of multicarrier modulations, including OFDM modulations and other multicarrier schemes. It describes multicarrier modulation systems that will be used in next-generation communications systems and also provides new insight into the behavior of nonlinearly distorted multicarrier signals. Illustrating the application of the nonlinear distortion analysis techniques presented, the book provides you with a wide range of analytical tools to assess the effects of nonlinearities on the performance of multicarrier-based schemes.